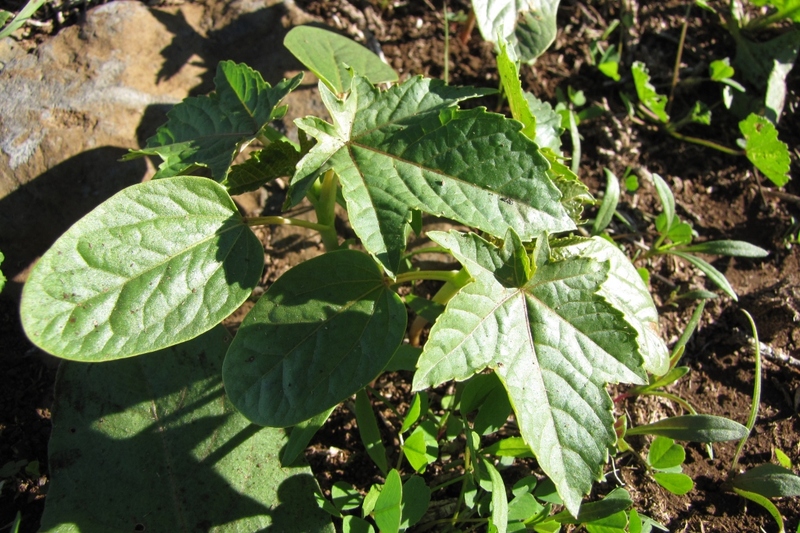 Castorbean (Ricinus communis): growing, planting, caring. 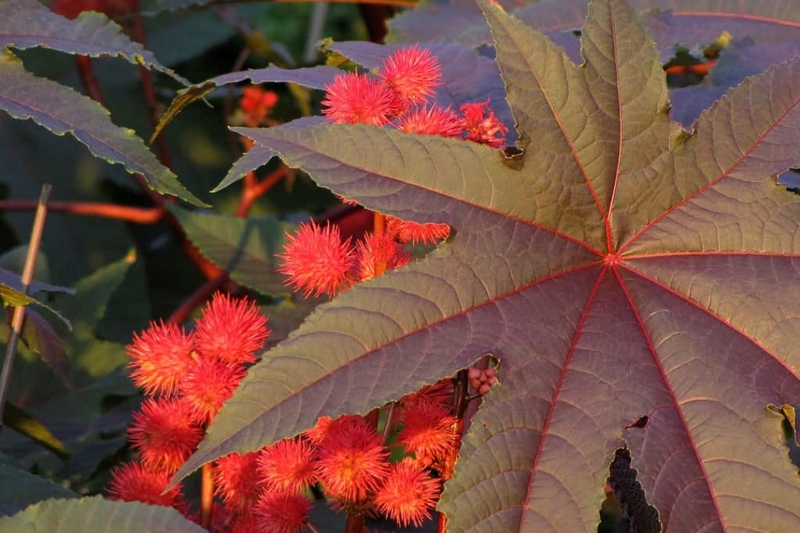 Ricinus communis, the castorbean or castor-oil-plant is a species of perennial flowering plant in the spurge family, Euphorbiaceae, with breathtaking growth, dark decorative foliage and fruits in the form of small sea urchins. In its own habitat, the castorbean is a shrub that reaches about ten meters in height. In colder regions it is generally grown as an annual plant. It can vary greatly in its growth habit and appearance. 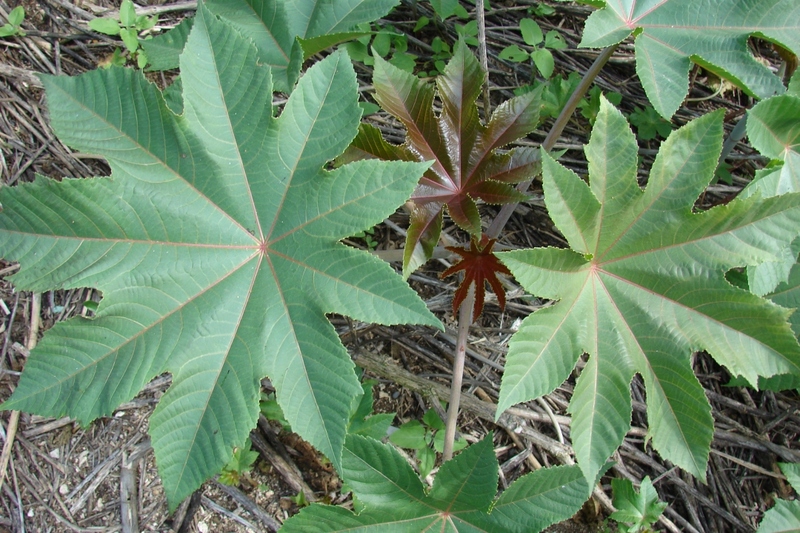 The glossy leaves are 15–45 centimetres (5.9–17.7 in) long, long-stalked, alternate and palmate with 5–12 deep lobes with coarsely toothed segments - with varieties of very different colors. Inside: Sow castor seeds indoors, in a warm room (20 ° C), in March or April according to the planned date of planting - which should happen after the last freezes. Soak the seeds 24 hours, then sow one seed per bucket, filled with a mix of potting soil and sand. After emergence, transplant into a larger pot while waiting for planting in open soil ... Castor-oil plant grows quickly! Outside: Do not sow outdoors except if you are in a sunny area. You need a sunny location, in fine soil and draining - as in the kitchen garden. Wait until the soil is at 20 ° C, soak the seeds 24 hours, then sow 3-5 seeds per hole. Cover with soil, then water gently. Plant in the spring after frost, in rich, well-drained soil, in the sun or partial shade, sheltered from the wind. If necessary, add compost or manure to the top of the soil. Soak the cups at least 30 minutes before planting. 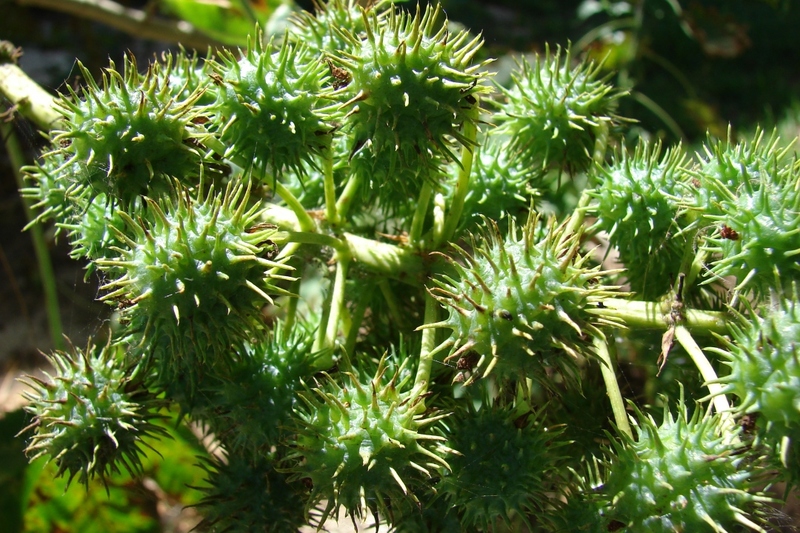 You can plant your castor in the ground, provided you find a situation sheltered from cold winds. Note that castor freezes between 0 and -5 ° C. In pots, choose a container at least 50 cm in diameter. Lay a layer of gravel or clay balls at the bottom and fill the pot with compost or ripe compost and loam. In all cases, water just after planting. Replant at least 30 days after sowing. Castor prefer a rich, fresh and well-drained soil: enrich the earth with compost if your soil is poor. Plant it in opensoil if you have a spot sheltered from the cold winds. Dip the clump in a tray filled with water to moisten it well. Plant when the water is no longer flowing out of the bucket. Prepare the soil: make holes, leaving a spacing of 50 cm per foot, and mix the soil with fibrous compost and sand. Put the plants in there. Fill with soil and tamp gently to avoid leaving air around the roots, then water. 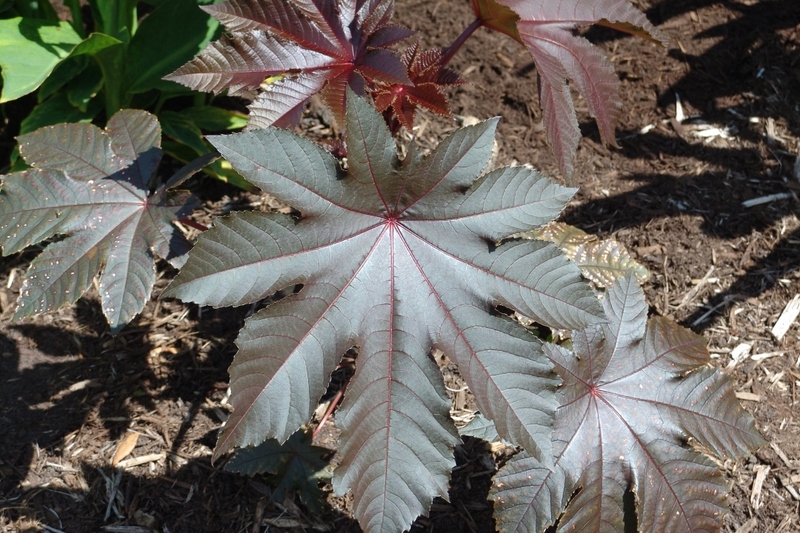 The castor bean is demanding, so in pot you can boost it by giving it some liquid fertilizer - without excess. A reasonable pace is every two weeks during growth and flowering. 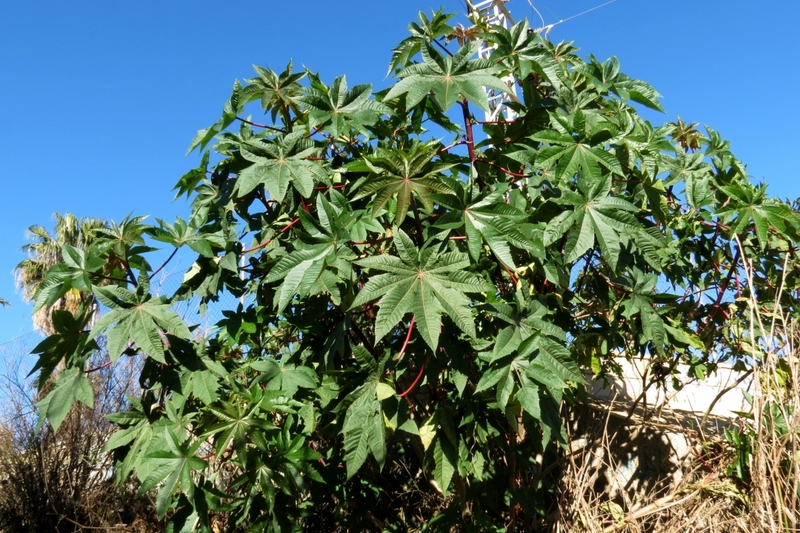 Water your castor regularly in season, but not excessively - do not wet the foliage, and do not fill the dish. Let the soil dry between two waterings. If it freezes in your area, bring your castorbean inside in October. Place it in a cold greenhouse or an unheated, bright room. If you leave it in open soil .. It may not last the winter. In the spring after the last frosts put your pots outside, in a sunny position and sheltered from the wind.